The accurate methods of counting time intervals are always appreciated by the mankind. Precise time measurement is valuable in most branches of people’s activities (e.g. science, agriculture, monetary concerns, and seasonal festivals. Periodicity of time is expressed in various calendar segments (century, year, month etc.). Periodic cycles that everyone sees, including sunrise, stages of moon, year seasons were used to notate units and standards of time counting which were used for making calendars. The fascination about time measurement and its interconnection with numerological methods ultimately discloses the consciousness of a mysterious, well-arranged, ever-present intelligence; a type of intergalactic, or “universal time”. Surprisingly, it’s correlation with calendar notation is extremely close, regardless of the fact it all looks quite random. Time measurement is profounder than a basic signification in our watches. It’s more about pulse of our world, which can be recognized by means of numerological calendar notation. Corresponding circumstances rely on the pulse discussed herein. Cycles observed in Astronomy relate to the foundation of knowledge that preceded making of the first time-measurement system. There is a considerable portion of scientific accuracy involved in it; as life of each living entity is also inevitably aligned to the time boundaries, numerologists believe that this time interconnection can be used for precise numerological investigations. Common religious knowledge describes a phenomenon of reincarnation, which implies that a person’s soul doesn’t vanish after death, and waits for its next life (incarnation). In its turn, person’s life on our planet is currently aligned on boundaries of the Sun cycles, which make the basis of Gregorian (modern) calendar. Results of numerological studies show that date-related concepts of Numerology (whether ancient or up-to-date), can provide calculations of the great accuracy if assigned to the calendar we use nowadays. Whatever country you happen to visit; if you put a question to a stranger about the date, he or she will respond according to Gregorian calendar notation. It is apparent that the planet’s nations would be unsynchronized and detached without commonly used calendar system. Nowadays the Gregorian calendar is the global scientific, merchant, and organizational standard. The mankind pulse can be watched on this calendar, and it has quite a long history originating in archaic Egypt. 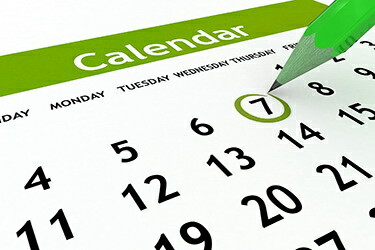 Improvements and changes in the calendar in a course of humanity development were accomplished with accuracy and synchronization concerns in mind. Numerous continuous ticks of short-term, middle-term, and longer-term time sequences related to the solar system periods indicate time flow as it fluctuates on a universal scale and corresponding interconnection to every entity in the cosmos demonstrated by means of individual time spans. Such spans summarize destined individual statuses and proceedings, together with spiritual advancement. “Hitting the right course”, or “feeling a correct place and time”, are notions of harmonious existence together with gradual positive advancement in universal time on all levels. The Numerology is often defined in a different ways. It is always believed that the numbers are very important in our lives. 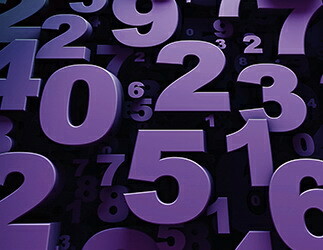 Numerology is understanding of the science of numbers, which are believed to be associated with our lives. This is a mental art of figuring out how the numbers can affect our lives and the future. Numerology is based on the formula of Pythagoras, and is often seen as a more scientific approach to understanding the numbers and their influence on life. By deciphering and understanding the hidden meaning and symbolism, it is easy to evaluate a person look at the past, present and future. In the numerology, the main loop of the serial numbers consists from 1 to 9 (0, not included). Each number represents certain characteristics and traits of the man. The study of numerology is pretty straight forward, but that's not the case. A person should devote much time and study the concept before he can consider himself a numerologist. One of the most important concepts in numerology is the life path, calculated on base of birth date. Each letter in numerology has a numeric value that is associated with the sequence and structure of the vibrations and energies. As the law of nature says that everything in life is vibration. 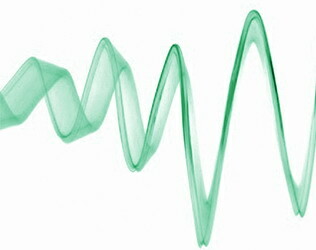 Just as sound, even our thoughts create vibrations. Whatever happens in your life, because it belongs to the vibration of our thoughts.